An award-winning series of portraits exploring notions of family, memory, and mortality — and being the daughter of an avid hunter. My work is deeply rooted in my family history. 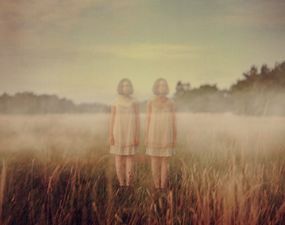 After the death of my mother when I was twelve years old, I became increasingly curious about notions of family, memory, and mortality. I was raised by my father: an avid hunter, archery champion, and former hunting guide, whose collection of taxidermy trophies began to grow exponentially that same year that I turned twelve. Growing up amidst the hunting culture of northern Michigan, I learned to see the ritual of hunting as a way for humans to connect with and conquer untamed nature; it is a ritual that speaks to notions of mortality and the interconnectedness of life within a larger system. Editor's Note: The first image in this series was awarded First Prize in the Single Image Category at the LensCulture Portrait Awards 2014. Follow LensCulture on Facebook and Twitter daily. 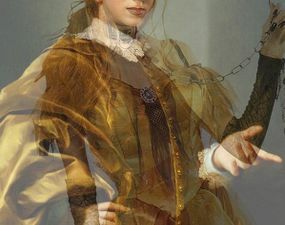 Deborah Oparallo juxtaposes 18th century power portraits of male leaders with internet images of women in fetish costumes. Access to electricity has the immediate ability to drastically improve living conditions. 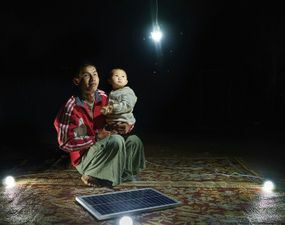 These portraits form a visual diary documenting how solar panels have transformed daily life for villagers in Myanmar. These group photographs made on summer beaches in Spain rely on studio lighting and theatrical elements to capture richly detailed, unusual documentary views of everyday beach life. 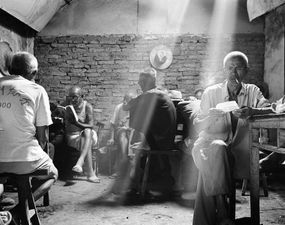 Kate Shortt travelled through China in 2006 to photograph everyday heroes, now in their eighties and nineties, who are silent survivors of decades of politcal repression. 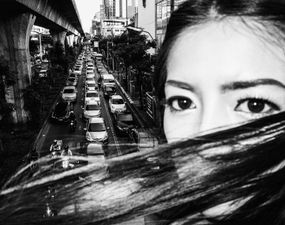 By imagining himself in the positions of other people, a photographer engages with his surroundings and continually finds new reasons to see the world with fresh eyes.